So the first thing we tried to do for breakfast is crash one of those hotel free type things they offer at the more upscale places like Econo Lodges or La Quinta. You ever had hotel free breakfast biscuits and gravy? It’s like wallpaper paste with salt and pepper poured over two hockey pucks. But the real deal breaker was the bacon. It was soggy. I am a man who can’t abide floppy bacon. Although, I did once dance under the name Floppy Bacon, but that is another story. Lute Fenwick was going to go demand his money back until we reminded him we did not actually stay at the hotel and that the free breakfast was for guests only. Lute is a nice guy, but he is about as sharp as a sack of wet wool. So we left the hotel and ended up at the Hess station on the way to the Magic Kingdom. Lute bought a bag of donuts and a half-gallon of chocolate milk. Me and my nephew Eugene Titweller had a healthy breakfast of a Little Debbie honey bun, a Slim Jim, and a Coke. Let me go off and chase this rabbit for a little bit. No, wait staff people of America, Pepsi is NOT OK. Is it fine if I pay in Monopoly money? Coke is it. Coke is the real thing. If you prefer Pepsi to Coke, then I have to question you as a human being and/or as an American. Pepsi drinkers are sketchy. I wouldn’t drink Pepsi if you paid me. OK, that ain’t true. Pepsi, call me if you want to offer me an endorsement. I ain’t cheap, but I can be had. No ugly chicks, unless I’m drunk or it’s dark. Or both. I would have refused to pay it if it were my money, but we were blowing through Eugene’s tax refund money. I spent my tax refund check on a lift kit for the Pacer and a subscription to Bodacious Badonk-A-Donks. Then when we did park, we wasn’t at the Magic Kingdom yet. You either got to get on a boat or a monorail. We took the monorail where Lute entertained the children in our car by chugging the entire half-gallon of chocolate milk and burping out the Mickey Mouse Club theme song. The kids didn’t seem to be all that impressed with Lute’s nuanced performance. Which is a sad commentary on the how the arts are just not appreciated anymore by the younger generation. Man, let me tell you something. I’ve been to Magic Springs, Silver Dollar City and even the Pope County Fair, but I ain’t never seen anything like the Magic Kingdom. I was overcome with emotion because my daddy couldn’t be there to see it. Oh, he ain’t dead. He is doing a stretch in Cummins prison for growing weed and he still owes me money. He called his strain Perry County Polio. It’s called that because once you hit this stuff, your legs won’t work to get you off the couch. So I’ve been told, anyway. Wink. Now for the rest of this review, I am just going to give you some notes I took at some of the places around the Magic Kingdom and hit the high parts. The cleanest street in America. We stop by to get Mickey Ears at the Emporium. Disappointed they did not have them in blaze orange camo. Further down the street, Lute told by a kid called a Cast Member that he can’t rub Pluto’s belly. Lute told by Cinderella that he can’t rub her belly or any other of her parts for that matter. Is Cinderella supposed to cuss? Sucker spun Lute so bad that he and a nice couple from Brazil in the cups next to him regretted the donuts and chocolate milk he had for breakfast. Word travels fast. Lute told he can’t come in. Anyway, we got funny looks from all the parents there. 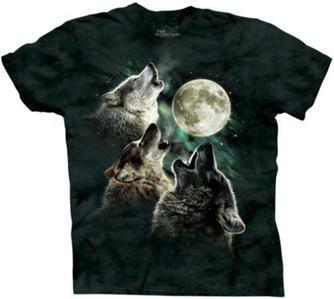 I pointed out to Lute and Eugene that they might be staring at my Three Wolves shirt I got at Wal Mart. It exudes awesome and causes people to covet it and/or to want to hang around with me. It’s very powerful and should not be used for evil. Only to be worn by someone who can control the power. I had to correct Eugene from calling them midgets. I learned from watching TLC that those folks like to be called little people or Dwarfs. We dug, dug, dug, dug the ride. Now we’re talking! But I found out that the cars don’t go real fast, but I did what I could. I got called an *elbow* for putting some lady from Philadelphia into the wall. I tried to explain that “bumpin’ is racin’ sweet cheeks.” She tried to take a swing at me when we got off the ride. That wasn’t very lady like. Reminded me of when someone slipped something in my Coke one time at a party and I saw flashing lights and swirling colors, which was kind of fun until Eric Estrada tried to climb out of my navel. Space Mountain was like that time without the bad parts or Eric Estrada. We found this a real nice place to sit back and take a nap. There was one moment when a Cast Member got real upset because they thought Lute was dead, but he always smells like that. Eugene more than a little disappointed when he was told he can’t go up on the stage and pose with the robot Obama to impress the girls back home. I was real happy that the ride was a lot better than the Eddie Murphy movie. He needs to get back into the fat suit and make more Klump movies. Lute screamed like a little girl when the ghosts popped up between him and Eugene. Cast Member girl cried when she was told she would have to clean up the mess. Eugene was told that he could not jump in the water to wrestle the gators. We made a game of trying to guess the sound each of the animals would make while passing gas. Skipper told us we should ride some other person’s boat and not her boat in the future. As good as the movie and wasn’t 6 hours long. Got told by Cast Member kids that I should not ask the ladies around me if they wanted to “shiver me timbers” or “climb up on me main mast”. People are jealous of my game and hate the player. We got soaked, which was good because Lute needed a bath. Eugene lifted up his shirt when the camera flashed for some reason. He said people do that. Anyway, we had a dang good time at the Magic Kingdom. This entry was posted in Almost True. Sorta. on May 4, 2015 by epjenkins.